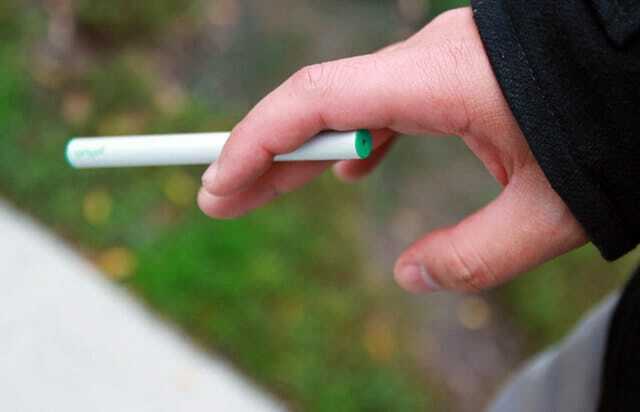 A new report from the American Lung Association finds alternative tobacco products, including e-cigarettes, are becoming more popular among Ohio youth. COLUMBUS – Reducing youth tobacco use in Ohio is becoming increasingly difficult, as kids and teens are branching out to such alternative products as electronic cigarettes. A new report from the American Lung Association in Ohio has found reduced teen smoking rates are being quickly offset as e-cigarettes, hookah, and little cigars increase in popularity. Shelly Kiser, ALA-Ohio’s director of advocacy, says these items are much more enticing to young people than traditional cigarettes. According to the Centers for Disease Control and Prevention, e-cigarette use tripled among U.S. high school students between 2013 and 2014. Just over 13 percent use e-cigarettes, while 9.2 percent smoke regular cigarettes. Ohio’s two-year budget proposal included increased taxes on cigarettes and other tobacco products, but the tax on other tobacco products was removed in the final version. Kiser says comprehensive tobacco prevention strategies for youth must address all tobacco products, not just cigarettes. She thinks lawmakers missed an opportunity. Experts say exposure to nicotine during childhood can have long-term effects on brain development, and cause addiction later in life. And Kiser says policies that prevent marketing to youth could help make a difference. The U.S. Food and Drug Administration is currently working on rules to regulate the manufacturing, marketing and sale of alternative tobacco products, and Ohio law prohibits the sale of e-cigarettes to minors.